Caleb’s heartbroken family pushed for legislation to add transparency and safety to California dental anesthesia for children. They wanted dentists and oral surgeons to inform parents about exactly who would be giving anesthesia to their children. But their bill was watered down during the legislative process, due to the clout of the dental lobby. Caleb’s family didn’t give up. The next year, another bill (AB 224) was sponsored by Assemblymember Tony Thurmond to mandate changes in the California Dental Practice Act. The Dental Board held hearings, and to everyone’s surprise, recommended changes too. Specifically, the Board recommended that children under the age of seven years, who need dental procedures under deep sedation or general anesthesia, should have a separate, qualified anesthesia professional in attendance as well as the dentist or oral surgeon performing the procedure. The California Society of Anesthesiologists (CSA) provided expert opinion in support of AB 224, and we were genuinely hopeful that it would prevail. Once again, we underestimated the tenacity and the financial muscle behind the lobbyists of the California Dental Association and the California Association of Oral and Maxillofacial Surgeons. They argued, incredibly, that no data support the concept that it is safer to have an independent anesthesia professional give anesthesia than to have the same person give anesthesia and perform surgery. A randomized trial of parachutes? Wait. How can anyone say that there are no data to support the concept that anesthesia is safer when given by a person who is not also doing surgery? That is the bedrock foundation of safe anesthesia care today. 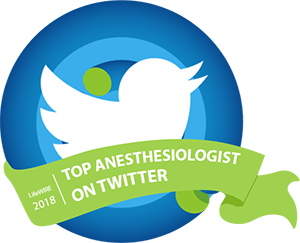 Even a board-certified anesthesiologist who is doing an invasive pain procedure, for instance, cannot offer sedation without a separate anesthesia professional present to give the medications and monitor the patient. The reason that dentists and oral surgeons can claim a lack of data is that they haven’t collected data. There is no national or state database of complications, near misses, adverse events, or deaths during dental and oral surgery procedures. No one seems willing to fund the establishment of a database, and event reporting depends entirely on the honesty of individual practitioners. What about randomized prospective trials? These aren’t likely to happen. What patient or parent would voluntarily agree to anesthesia without a qualified anesthesia professional as opposed to with one? You might as well try to enroll subjects in a prospective trial to see whether jumping out of an airplane is safer with a parachute. Yet the “no data” argument convinced several California legislators. AB 224 did not succeed in passage during California’s 2017 legislative session, and became a two-year bill to be revisited in the upcoming legislative session. As Uwe Reinhardt, the eminent healthcare economist, famously said, “Politically, you cannot legislate what rationally makes perfect sense.” CSA will continue to write, speak, and do everything else we can do in support. I wish I could say definitively that AB 224 will pass and will solve the problem for good, at least in California. However, even if it succeeds without any further watering down, or active sabotage, there are other factors to worry about. Tragic events can occur in the recovery period as well as during the procedure. Few dental offices are equipped with qualified PACU nurses, or set rigorous recovery and discharge criteria. I’ve reviewed a case of wisdom tooth extraction where a teenager was monitored after general anesthesia – unbelievably – for only seven minutes, before being packed into the back seat of his mother’s car. He promptly turned blue, but his mother managed to get him to a nearby emergency room in time to be resuscitated. No matter how tightly anyone tries to craft a law, the dentists and oral surgeons will work to figure out a way around it. The latest gambit is their definition of “deep sedation with local anesthesia” as a type of anesthesia unique to oral surgery that shouldn’t require a separate anesthesia professional to be there. The oral surgery team model, I would remind you, allows a dental assistant with no medical training to monitor the patient’s vital signs and keep the dentist informed as to whether the patient is alive and breathing – or not. The problem is that dental assistants, through no fault of their own, don’t have the medical or nursing background to recognize early enough when a patient isn’t breathing adequately. They lack the medical or nursing training to perform the tasks of advanced cardiac life support. The failure to identify a developing crisis, and the failure to provide competent, timely resuscitation, are the ultimate causes of brain damage and death caused by lack of oxygen during dental procedures. If state dental boards persist in allowing their practitioners – whether dentists or oral surgeons – to give medications as potentially lethal as fentanyl while they perform procedures, and the practitioners don’t understand or won’t acknowledge the risks, it’s hard to see a way forward to a legislative solution. 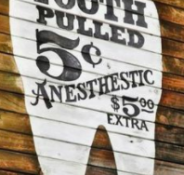 As long as dentists and oral surgeons – as distinct from every other surgeon – can legally bill for giving moderate sedation, deep sedation, or general anesthesia while doing procedures, then they’ll move heaven and earth to maintain that revenue stream. Our best bet is to keep up a relentless public campaign for safe dental anesthesia. As CSA President, I’ve appeared on NBC television, in an excellent segment called “Children at Risk? Kids and Sedation at the Dentist’s Office.” I’ve been quoted in an award-winning article in Today.com, “9 questions to ask your dentist before your kids go under sedation.” NBC also taped an online segment, “What Happens When a Child Stops Breathing?”, about exactly what can go wrong during a pediatric dental procedure when a child isn’t getting enough oxygen and no one notices it in time. Rita Agarwal, MD, FAAP, who chairs CSA’s Committee on Professional and Public Communication, has co-authored an excellent piece for parents on the American Academic of Pediatrics’ website, healthychildren.org, about the risks and benefits of anesthesia and sedation for dental work in children. I didn’t know there wouldn’t be an anesthesiologist. I had no idea it could happen. I thought they knew what they were doing. When parents know, they can demand that a procedure be done under safe circumstances, in the right location, with appropriate personnel and monitoring. It’s our job to continue the work of making sure EVERY parent knows. Safe anesthesiology care is the right of every child, every patient, every time. Thank you for a tremendously well written summary of a serious problem. As a dentist Anesthesiologist in practice for 25+ years I have observed, evaluated, analyzed and voiced what you said so eloquently, but have been falsely prosecuted, muzzled, oppressed and maligned by the dental profession for abandoning the omertà of oral surgeon-dentists and the dental associations they control. My colleague, Lois Jacobs, DDS, in Oklahoma who also suffered the same treatment before me. She successfully sued the Board of Dentistry in 1992 and the board ignored the outcome of the legal decision. This year we both filed suit again, to try to affect change. Like California, the dental lobby here is ferocious. There is no moral fiber remaining in the dental organizations as evidenced by your experience. You said it right, that until the prohibition of double billing is enacted, it will not change. Again, thank you for your article. I noticed throughout your article you separated “oral surgeon” from “dentists”, when oral surgeons are dentists and regulated by the Boards of Dentistry. In communicating to non-health care providers, there is often a lack of understanding that “Oral & Maxillofacial Surgeons” are dentists, so I have adopted a writing policy whereby, I never write “Oral & Maxillofacial Surgeons”, but only “oral surgeon-dentists” when referring to them. The intent is not to disparage, but to communicate effectively. In your article, “The reason that dentists and oral surgeons….”, could have been just as easily said as, “The reason dentists, including oral surgeons….”, to me be would make it inclusive rather than exclusionary and therefore more understandable to a lay audience and put oral surgeon-dentist back in their place. They are the only specialty in dentistry that has no reference to the term “dental” or derivation thereof, such as “dontic”, both of which refers to “teeth”, and therefore the association is lost sometimes that oral surgeon-dentists are dentists. Please don’t find this observation negatively critical of your writing, on the contrary, I was overwhelmed that after over 2 decades, someone finally understands what we have been saying and fighting for decades, and you said it in such a beautifully organized and concise manner. Thank you very much for the clarification. You are correct, of course. My wish to differentiate between oral surgeons and dentists stems from the fact that most dentists don’t claim the privilege to give deep sedation or general anesthesia without a separate anesthesia professional, whereas oral surgeons do. The American Academy of Pediatric Dentistry (AAPD), in fact, has issued a recent update of its guidelines, making it clear that deep sedation/general anesthesia requires a separate licensed anesthesia provider. The AAOMS directly disagrees with the AAPD on this issue. Clearly a dentist of any stripe may get into serious trouble with minimal or moderate sedation too, but at least the odds are less if the sedation truly meets the definition of minimal or moderate, meaning that the patient is conscious, responsive, and able to protect his/her own airway. Thank you so much for taking the time to write. I appreciate it very much. What would be a solution to this problem? All patients in dentists offices that require sedation be completed in a certified surgery center? Should they be sedated by a board certified md anesthesiologist or crna or a “Dental anesthesiologists“? Do you feel a CRNA or Dental anesthesiologist is qualified to sedate children with no MD supervision? An even less invasive procedure than placing silver fluoride on baby teeth and allowing them to erupt would be for their parents to brush their teeth with toothpaste. You failed to mention that nearly all pediatric dental sedation cases could be prevented with proper hygeine. The solution is for dental surgery to follow the same time-tested safety rules that apply to every other kind of surgery. If more than minimal sedation is required, the medications should be given and the patient monitored by a qualified anesthesia professional (as defined by CMS and state law) who is NOT trying to multitask and perform the procedure at the same time. The setting should be appropriate to the patient and the procedure. The office setting may be appropriate for healthy patients and limited procedures, but sicker patients and extensive procedures are best managed in a surgery center with qualified personnel for every stage of preoperative, intraoperative, and postoperative care. I wholeheartedly agree with your point about good oral hygiene and prevention being the best way to avoid most pediatric cases. Why is it that dentists and oral surgeons are considered good enough to “multitask” by being allowed to give the anesthetic and perform the procedure, yet they are not good enough to be exempt from cellphone while driving laws? Thanks for a great article. 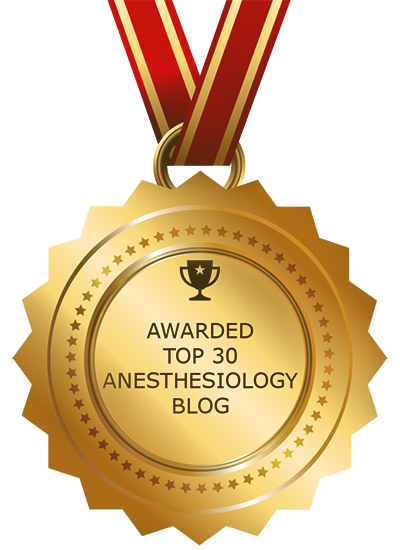 In my opinion, those who give anesthetics, should follow the highest standards of practice in the field. Separating the anesthesiologist from from the procedure, has been a long established standard for medical anesthesiologists here in Canada. Only a few provinces are left which allow some to do otherwise. I am so sorry to hear about Caleb Sears, I can only imagine the pain that family felt. I trust my dentist at Molar Bear Pediatric Dentistry in Houston, TX 77084 because they understand the lethal limits of anesthesia and its comforting to know that my child is in good hands. But as a parent, I still try to educate myself beyond the doctor’s word. Childrens teeth taken care in thier childhood can reduce future dental treatments.Hence the first thing is to be in contact with your dentist. Procedures like implant require anaesthesia because it is quite painful. That was a great article!! !